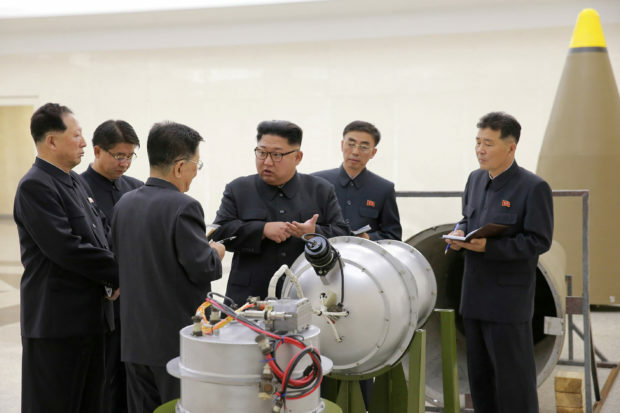 North Korea’s test of a possible thermonuclear weapon reshaped the mountain above the nuclear test site, experts revealed. North Korea’s sixth nuclear test at the Punggye-ri Nuclear Test Site was so powerful that it caused part of the mountain to crumble, triggered substantial landslides, and displaced more than 85 acres, Jeffrey Lewis, the director of the East Asia Nonproliferation Program at the James Martin Center for Nonproliferation Studies, wrote on the Arms Control Wonk site. “You can see that the explosion visibly displaces the mountain, which demonstrates how large the explosion was,” he explained. Airbus took the images using its TerraSAR-X satellite. In the video posted online by Lewis, the topographical change is clearly visible. 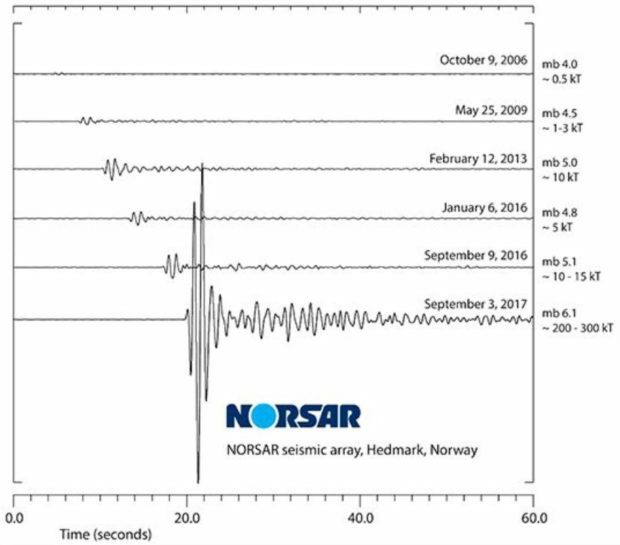 The seismic data for the sixth nuclear test varies depending on the source, ranging from 6.1 to 6.3, suggesting that the explosive yield could be somewhere between 200 to 300 kilotons, possibly even higher. Initial official estimates put the explosive yield at around 150 kilotons, but the bomb may have been much larger. Prior to the test, North Korean state media released images of the warhead it intends to mount on its new Hwasong-14 intercontinental ballistic missile. A variation of that warhead appears to have been used in the most recent test. Evidence suggests that this is a bomb meant for the destruction of an American city should a conflict occur. The United Nations imposed new sanctions on North Korea Monday, calling for the denuclearization of the Korean Peninsula, a daunting task given North Korea’s unwillingness to part with its nuclear weapons.